What Are You Passing on to the Next Generation? As adults, we make changes into the next season of our life. We want to be sure to have our Estate in order. We meet with our Estate Planner and have our Living Will in place? We decide who will be our Power of Attorney or Medical Representative? Then we decide how to divide the financial assets or determine who gets what material objects? But one of the areas that often time gets neglected is our personal Legacy; leaving a part of ourselves. So I ask you this question. A question I heard many years ago from Deena Wilson. “Do you want to leave this earth as an empty dish or a shade tree?” What do I mean by this question? Each of our lives has a purpose and we all have something of ourselves to leave behind. Do we let our trials, tribulations or blessings be left as an empty dish? Or do we share our life to allow others to sit under the shade tree and learn from our life experiences? Do we want to leave a bit of who we are, what our values are and how we got where we are today so we can pass on that part of ourselves to others? How do we find those stories and even know where to begin? That’s easy, with photos. Although we may not initially remember all the significant events in our life; but put pictures in front of us it will help those memories come alive. 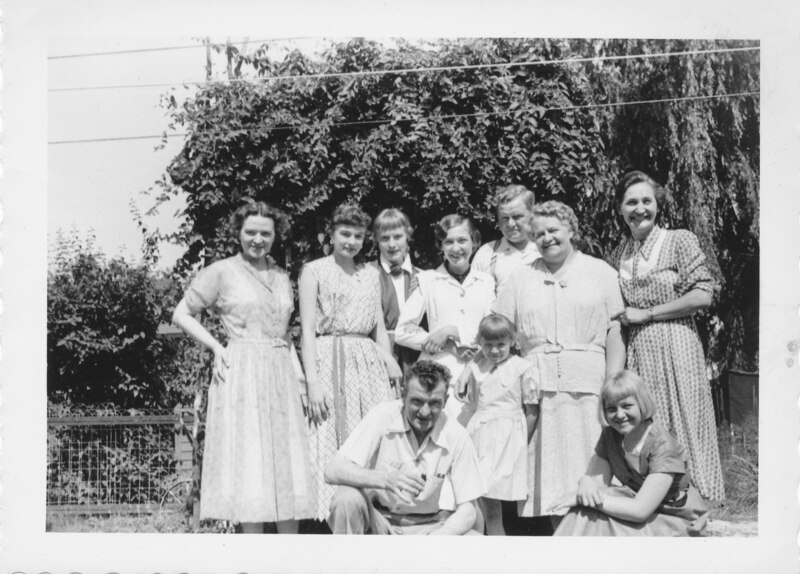 As a Certified Photo Organizer, I love working with families to help uncover those long lost stories. One day I was helping an 85 year old woman with her heritage photos. We came across a photo of her with a young man and another couple. It actually was a newspaper clipping. When I pulled out the newspaper clip and asked her about it, she told me this was her first date with her husband and that they had attended his bowling banquet. Simple enough but I felt there was more to this story. As I encouraged her to tell me more, a story unfolded. “Well she said, see that couple in front of us?” I nodded. “Well that was so and so and after the banquet we went to their house for coffee. But,” she said, “I didn’t get home until 3 am.” I guess in the early 50’s that’s wasn’t acceptable. Because upon her arrival home, she found that her father locked her out of the house. Now what does she do? Her date was gone and she had no way to get into her house. As she walked around her house, she noticed that the bathroom window was open. She manages to shimmy herself up in through the window and who greets her in the bathroom doorway but her dad. Not only was that scene not pleasant but she tore her nylon stockings. Since it was post WWII, stockings were still a bit of a premium. It was hard to tell if she was more upset about being locked out of her house, greeting her angry father or ripping her nylon stockings. What a night she had and what a moment of memories we both had. Would I have known the story behind the photo if I just took the box and skimmed through? No. But by engaging, encouraging and sharing I found out a whole lot more about this women and her younger dating years. People are precious. People’s lives are precious and people’s stories are key to every family. Don’t let your stories sit in a box or filed on your computer. Share those stores with your family. Create your Legacy by gathering your memories and sharing your stories. It helps your family know who you are and can even help them know where they are going. So I ask you again. “Do you want to leave this earth as an empty dish or as a shade tree?” I believe for that shade tree. Please … tell you story! Every one of your posts is brilliant! Practical and inspiring, this topic in particular motivates me (and hopefully all readers) to reach higher to pass on to our children the life stories that embody eternal values.